Assist the stage manager and technical director with set load in on tour. Under the supervision of the stage manager and technical direction, do minor set repairs if necessary. Minimum 2 years training or experience in stagecraft. With help of the stage manager, lighting load in, focus and strike. 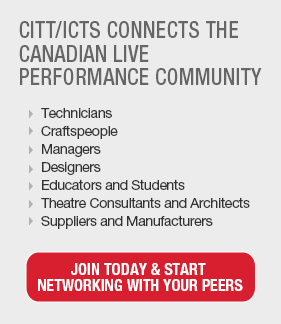 Théâtre la Catapulte has a mandate to support the emerging generation of artists in the Ottawa region. This season, thanks to a grant from the Ottawa Community Foundation, Théâtre la Catapulte has the opportunity to offer paid internships to young artists who have recently graduated, or will do so shortly, and who have the desire to gain professional experience in their field. For the company, this is a golden opportunity to discover new talents and encourage emerging artists to stay in the region to practice their trade. Théâtre la Catapulte is a company that creates, produces and presents professional French theatre. Located in Ottawa, its’ productions target both adult and teen audiences and are presented at La Nouvelle Scène Gilles Desjardins, where they are one of the four founding members. The company also tours its productions in theatres and schools across Canada.